Malibu White Rum With Coconut is a popular Rum available from DrinkSupermarket.com in 1.5lt to buy online. Visit DrinkSupermarket.com for the best price for 1.5lt of Malibu White Rum With Coconut or compare prices on our other Rum products. Malibu was originally made from fruit spirits, flavoured with rum and coconut. Originally the product was made to simplify making pina coladas. When the product took off they mover production to where Barbados, where the product is made by West Indies Rum Distillery Ltd and the quality of ingredients was improved. The brand was owned by Diageo but sold by them to the company Allied Domecq and later sold to Pernod Ricard who moved production to Canada. Malibu, now being a success, has released a variety of flavours such as Malibu and mango, passion fruit, Pineapple and tropical banana to name a few. Where to buy Malibu White Rum With Coconut ? Malibu White Rum With Coconut Supermarkets & Stockists. 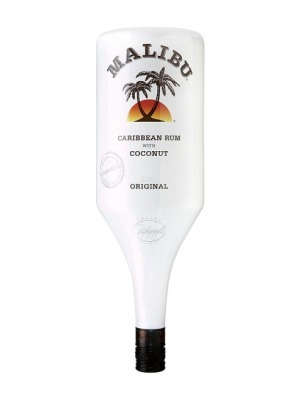 You can buy Malibu White Rum With Coconut online in most retailers and find it in the Rum aisle in supermarkets but we found the best deals online for Malibu White Rum With Coconut in DrinkSupermarket.com, TheDrinkShop, and others. Compare the current price of Malibu White Rum With Coconut in 1.5lt size in the table of offers below. Simply click on the button to order Malibu White Rum With Coconut online now.